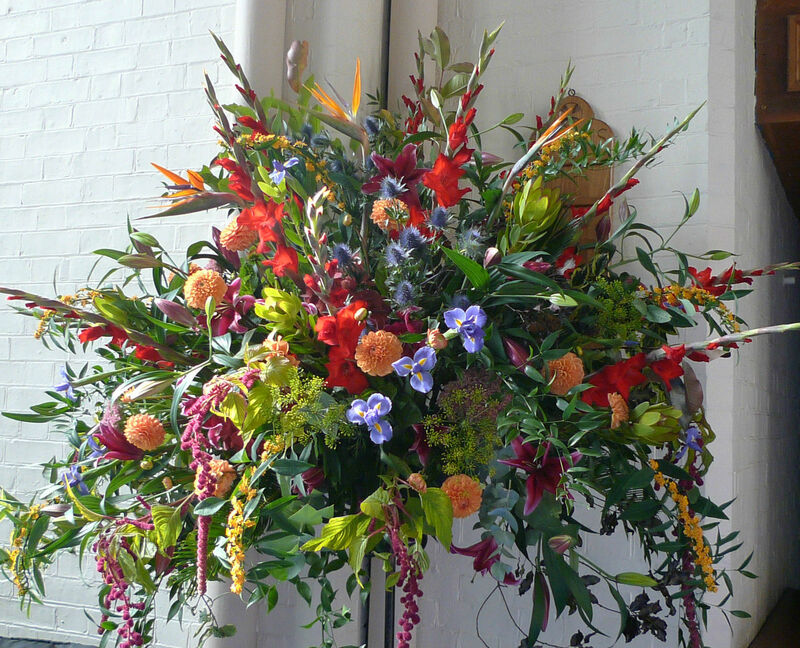 The flowers in church are often donated in memory of a loved one, an anniversary or an occasion of joy. If there is something that you would like to commemorate please speak to Andrew Sutton, who coordinates the list of flower arrangers. If you would like to arrange the flowers yourself, but feel you would like help, we would be very pleased to assist. Every Sunday the flowers are dismantled after the Morning Service and delivered to people who are ill, in need of comfort or have special reason to celebrate. In this way members of our congregation are assured of our love. If you are willing to join the rota delivering the flowers please let the Church Secretaries know. There is one body and one Spirit, just as you were called to one hope when you were called.